Enjoy the dual function behavior of this recently shared pallet furniture to meet your very unique and personal furniture desires. 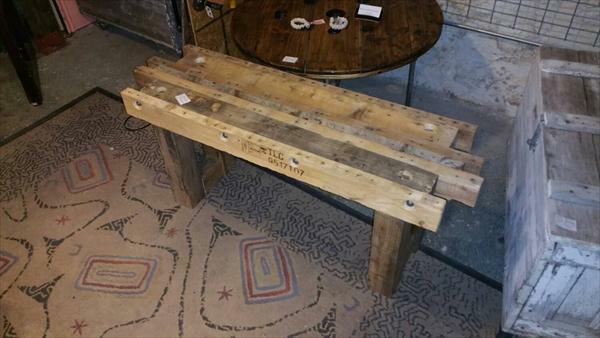 This DIY pallet bench or coffee table layout is just super sturdy and has just been built to live a lifetime. 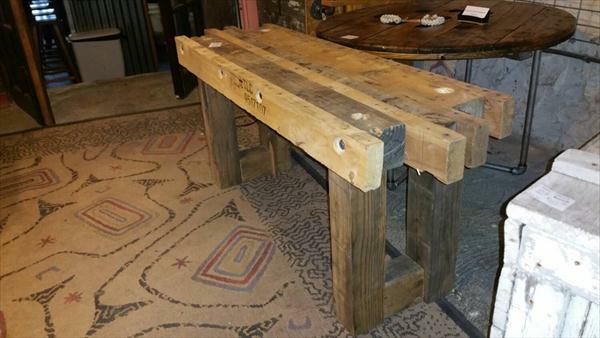 By putting together some thicker pallet boards, this heavy duty bench structure has been constructed. Boards have been hold together using long bolts by passing them straight through the boards and making them secured with nuts on the other end. 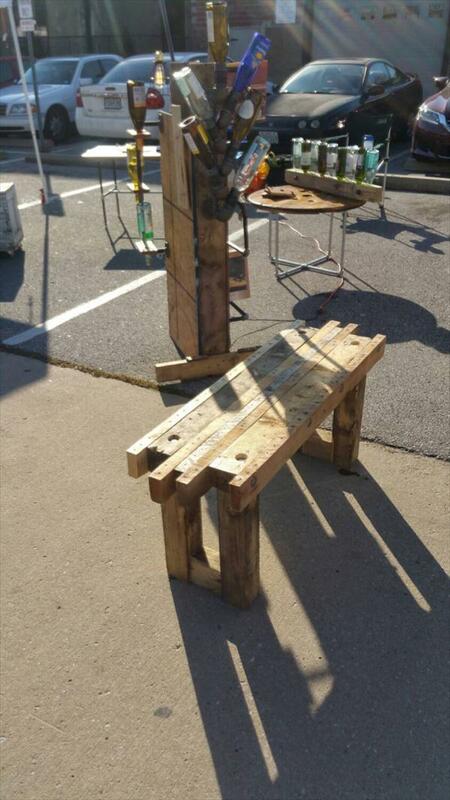 This wooden handmade structure will serve as a DIY pallet front porch bench to sit comfortably in your very spare time. Design comes in rustic and mid century inspired antique wooden theme with an unconventional twist. At the time of need this will also come in handy to serve you as a DIY pallet coffee table, so do make this dual purpose DIY pallet project copied to add a functional blend to your home environment!